Bought these for my son as a gift. I am very satisfied and will write later his review of the product after Christmas! 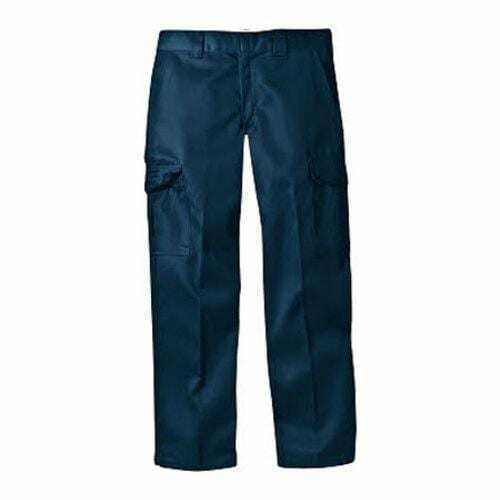 Get the job done in comfort and style with these straight leg cargo pants from Dickies. These pants are made of wrinkle resistant, stain release fabric and feature a permanent crease and distinctive tunnel belt loops. 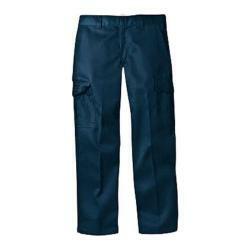 Theyare dark blue gabardine work pants typical of service tech's etc.Not Denum as described.